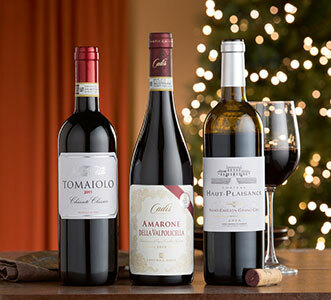 Choosing red wines for Christmas is never easy, as there are so many different occasions, different events, different moods. This selection are some suggestions for Christmas Drinks Parties, family suppers, Boxing Day buffets and that all–important glass of wine when there is a moment to relax. • For drinks parties, you need bright, low tannin, fruit–driven wines, preferably, not too high in alcohol–soft, juicy, fruity wines, full of lively, yet warming berry fruit. • Boxing Day lunch often sees gammon and a variety of salads on the list, and is a wake-up call for jaded palates, so go for lighter, fresher reds, such as Beaujolais, Grenache and Pinot Noir. • As for those cosy evenings by the fire, that’s when the richer, warmer wines come into play – Rich, warming Rhone blends, soft Spanish reds, and earthy Italian stars – perfect with stews, roasts and simple pasta. Whenever I open a bottle of this wine, I sink into a blanket of velvety warmth! Ravenswood is iconic, as is its distinctive label; and so is its winemaker, the 'king of Zin', Joel Peterson. What you need to know is that this smooth, sumptuous red, from the hot, sunbaked region of Lodi, close to Sacramento in northern California, is silky smooth, and bursting with gently ripe black fruits with a hint of spicy mocha. Not only does this wine work with classic grilled steak, but it's a dream with spiced up dishes and look no further for a great match for Mexican food. When all the cooking and the entertaining is done, this would be the glass I’d choose to settle down and relax by the fire. Wines made from the Grenache have to be high on the list of perfect party wines, due to their sheer fruitiness and charm. Originating from the Rhone, but now grown all over the world, Grenache is one of the key components in most southern French blends; on its own, it’s a glorious riot of juicy fruit, and soft, spicy flavours. It’s vibrant, it’s fun; aromas of ripe, strawberries, sprinkled with black pepper leap out of the glass, and the taste is everything you could ask for, for a simple, great value, but characterful red - tannins are low, flavour is spot on, with bright berry fruit, a dusting of sweet spice, and a gentle, fruity, light finish. Straightforward, but with real personality, and at only 12.5%, a far better bet than some 14.5% monsters for Christmas parties. Great with party food, but also a perfect foil for gammon, or on Boxing Day! An absolute delight from central Italy, this is a superbly rich, inviting Italian red for weekday suppers, and also to please a crowd. Check out the warmth and softness of this delicious red, with its gloriously smooth, ripe, black cherry and blackberry fruit. It beckons with attractive aromas of sage, ripe figs and mocha, and is an absolute bargain, given what it delivers in the glass. It’s not a blockbuster, but more of an inviting, medium-weight red, which offers up exuberant, mellow fruit flavours, streaked with fresh herbs. Juicy and ripe, with enough richness and warmth to satisfy; if you’re planning lasagne, or a rich pasta dish on Christmas Eve or Boxing Day, this is the perfect match. A touch of organic luxe, and worth a treat over the festive season – the Bonterra vineyards are situated in the far north of the Californian wine region, Bonterra produce all their wines, and grow their grapes organically ; this wine is from Mendocino County, and is the leading organic producer in California. As with many top Californian producers, the bottle is ridiculously heavy, but despite my reservations on that, it is an impressively sumptuous wine – rich, velvety and dense, yet silkily soft, with voluptuous hedgerow fruits. Rich, ripe and opulent, it’s a wintry delight, enveloping wine drinkers in a blanket of textured, comforting layers – blackberries, stewed blueberries, and a rich, chocolatey, sweetly spiced finish. Sink into this with roast beef or braised lamb. I’ve written about this joyously fruity red before, but I just have to include it in my top 10 for Christmas, as the perfect red wine antidote to all that rich food and full bodied, heavy reds. Hats off to Tesco for searching out this little known grape variety, grown high in the hills of Western Sicily. It is sheer, lively, juicy deliciousness in a glass – light, fresh, friendly, full of super ripe cherry and fresh plum flavours, with wafts of red berry fruit and wild herbs on the nose. Apart from being a perfect match for the gammon and cold turkey on Boxing Day, it’s also a great introduction to red wines for those who think they don’t like red! I’m very impressed with some of the new wines that Tesco are discovering, and this one is my latest finds, just in time for Christmas. I’ve often said that Portuguese reds offer some of the very best value wines in the world, with exciting, rich flavours and depth, and this is proof. Touriga Nacional is Portugal’s best known red grape, most famously used as part of the classic blend for Port. But it’s also now making some top-notch red wines, both in the Douro Valley, and also, like this one, in the hot, sunny plains of the Alentejo region, south of Lisbon. It’s rich, it’s voluptuous, it has a ripeness and velvety depth that draws you in. 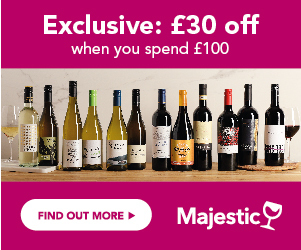 It’s a bold, full-bodied wine, with a chewy density, but it has an integral softness as well – deep in colour and texture, it’s packed with rich, fig, plum-pudding and black cherry fruit, with deep, dried fruit and floral aromas, and an enveloping flavour of spiced blackberries, freshly ground black pepper, and cardamom spice, with a savoury edge. It has ‘perfect winter red’ written all over it, and whilst I might not serve it with the turkey, it has to get my vote as a top red, for cold evenings by the fire, hot bowls of stew, and I’d also like to give it a try with some spicy Indian food. Another classic Christmas red, you can’t go far wrong with Cotes du Rhone if you find a good one, and this is a great one, and at a great price for the next month or so. From Ogier, one of the top producers in the region, it’s named after the company’s first cellarmaster back in 1859, and has an eye catching traditional label, which seems to back up its pedigree. With a beautiful, ruby red colour, it exudes ripe, spicy, blackberry and cracked pepper aromas, with a hint of bitter chocolate, and leads to a soft, yet spicy mouthful of rich, cinnamon and cocoa-soaked red fruits. There’s a delicious softness to it, it’s not too heavy, and the oak and tannins are gentle. Classic, warming, friendly Cotes du Rhone, with the influence of the lovely, fruit-driven Grenache – just as it should be. A great all –rounder over the festive season, and a high recommendation for Boxing Day gammon, and simple suppers of bangers and mash. This is a leafy, fresh, soft red from the very deep south of New Zealand’s south island, where Central Otago has gained international recognition for its world class Pinot Noirs. This is one of the lighter styles that will be found there, with gentle aromas of freshly crushed raspberries, mixed in with a bit of raspberry leaf, and some sweet, dried cranberry fruit. It has a soft, pale colour, and a delicate flavour of bright red berry fruit, hints of freshly cut herbs, and a dash of warm pepper and spice. With a silky texture, and a bright, refreshing taste, it’s a great wine for those who like lighter styles of red, with no muscly tannins. Vibrant and fresh, it trips across the tongue and would be a great wine to serve on Boxing Day with cold turkey and baked ham. A refreshing alternative to heavier reds. In my opinion, simply the best of the big brands out there; it’s a gorgeous, rich red, which hits a great price point but never compromises on quality. From Chilean giants, Casillero del Diablo is simply gorgeous in all its rich, velvety, intense, blackcurrant and dark chocolate fruitiness and sumptuousness! It's full bodied, yet soft, supple yet jam packed with opulent flavour. It’s a great fail-safe red, which will appeal to almost every red wine drinker; swirl it round the glass and you’ll get wafts of mint and fresh blackcurrants; taste it, and it’s a rich, inviting medley of bright, black fruits, fresh mint, and bitter chocolate, all wrapped up in a warm, extremely soft, velvet cloak. There is a lot of criticism about the big brands of wine, some very justified; but this one stands proud, and richly deserves its status, as one of the nation’s favourite reds. It would be great with roast beef or lamb, and a great all-rounder throughout the festivities. This delight from Argentina has to be high up on the list for perfect Christmas party wines; oozing soft, smooth South American charm, it’s a true gem, produced from one of the country’s top winemakers, the legendary Jose Zuccardi; Malbec has a reputation for being big, beefy and burly, but this one has a gentle softness, and a velvety richness, with a supple, smooth style. With soft, warming black fruit and mocha flavours, it’s great for informal suppers, drinks parties, or a brilliant choice for Boxing Day. *This article is showing the prices and stock available on 11/12/2013.